Option: 16" x 72" | 16" x 90"
A little too flimsy. Stiffer fabric or backing would have helped. Color is good and a nice subtle plaid. The valances are very nice quality, not flimsy or cheap at all! They match perfectly with the curtains and quilt. Poor Quality. I would not buy again. 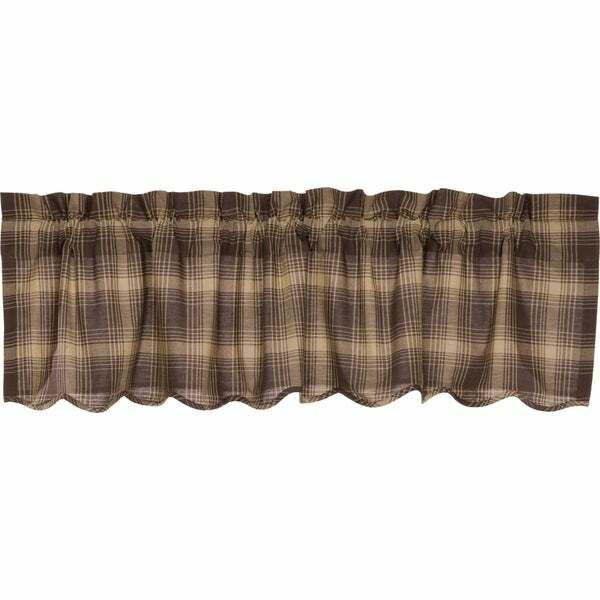 Option: 16" x 60" | 16" x 72"
I originally was looking for plaid as I am doing my nephew's living room over the first valance was too busy. I think these will work.